Thank you for the free-be Calendar Ashish. 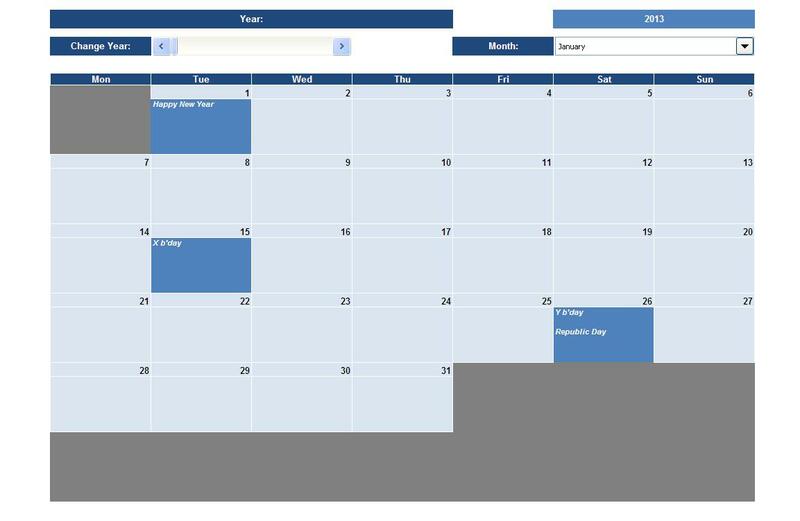 Do note: when you print the calendar, the name of the Month does not display/print. And, the Print Area (in my opinion) should be set to: B1:H21. @You: So Frank! -- Thanks a lot for your feedback. While printing I suggest we choose landscape option and "Fit to 1 Page(S) and 1 wide by 1 tall"